Christmas With Pee-Wee Herman ~ Christmas A Go Go! 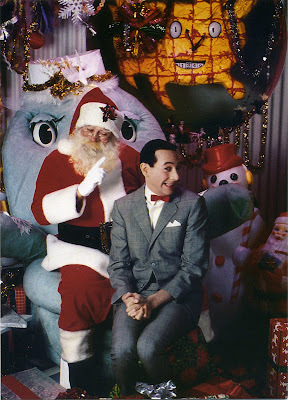 I put up some of the songs from Pee-Wee's Christmas video on You Tube last year. Sadly Charo and kd lang asked to have their videos removed. But Grace Jones and The DelRubio Triplets are still there. Thanks for all of the cool Christmas Music.